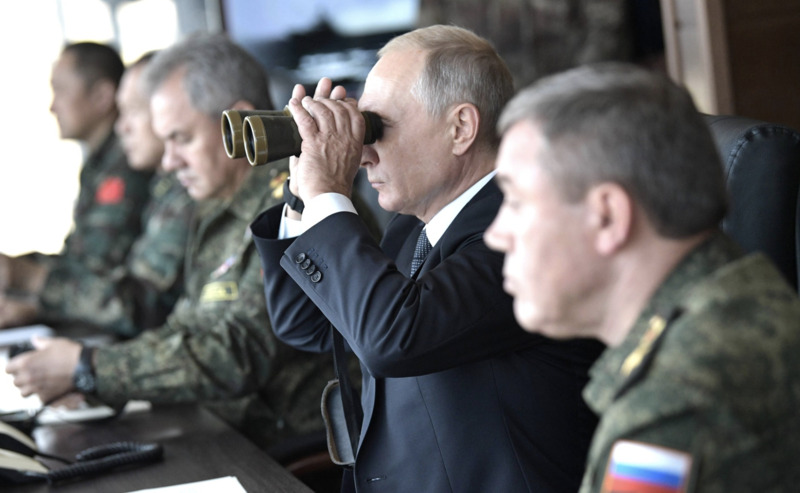 Citizens across Central Asia are becoming increasingly worried about the Kremlin's intentions as Russia kicked off its largest ever war games Tuesday (September 11). The Vostok-2018 exercises simulating large-scale warfare will be carried out through September 15 in eastern Siberia, with troops from China and Mongolia also participating. Some 300,000 soldiers, 36,000 military vehicles, 1,000 planes and 80 warships will be involved, Russian Defence Minister Sergei Shoigu said August 28, adding that the drills will be "on an unprecedented scale both in terms of the area covered and in terms of the numbers" of military forces. The Russian army has compared the show of force to the USSR's 1981 war games -- the largest military exercises of the Soviet era. But Defence Minister Sergei Shoigu said these exercises are even larger. Kremlin spokesman Dmitry Peskov defended the size and scope of the drills, telling journalists that spending state funds on the country's defence capabilities was "justified, necessary and the only option", despite Russia's economic problems. Living conditions are so bad that almost one in three Russian citizens aged 18-24 wants to live abroad, while many Central Asians in Russia are now returning to their home countries. While military drills have a practical purpose in terms of testing key skills, they are often designed to show a country's potential opponents how it could behave in a real conflict. Following Moscow's invasion of Ukraine in 2014 and illegal annexation of Crimea the same year, Russia held drills involving 80,000 troops in regions spanning the country. 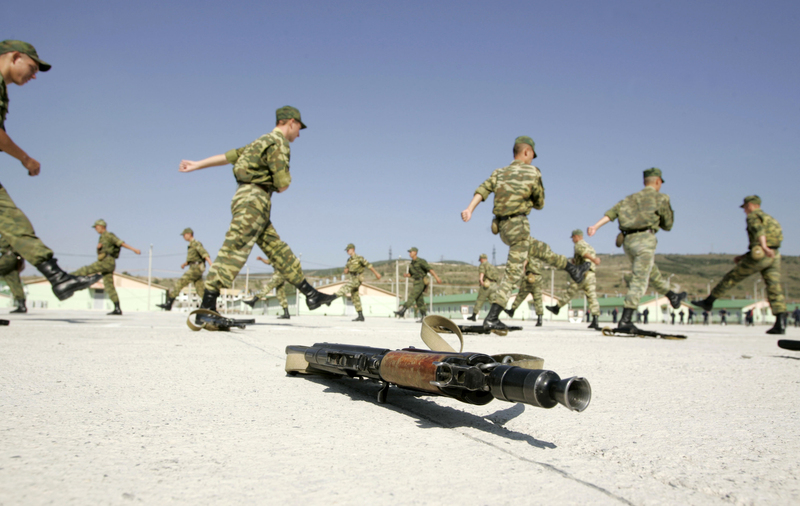 "Such military exercises are a bad sign," Valerii Khan, an Uzbek political scientist based in Tashkent, told Caravanserai. "Of course there is no military necessity for them," he said. "It's unlikely that in the future we can expect a conflict on the scale of World War II in which 300,000 soldiers could participate. It is a political act that Russia uses to demonstrate its power." "We all see Russia using its military power in Ukraine, and that type of demonstration ... does not give former Soviet republics, including the ones in Central Asia, any confidence about a peaceful neighbourhood," he said. "Uzbekistan has switched from a massive army to a small professional one," Tashkent resident and retired Uzbek army officer Alisher Mamatkhojayev told Caravanserai. "That's because the main threat in the world today is local conflicts unleashed by terrorists, extremists and separatists." "Our country will not be able to attack anyone, but we will be able to defend ourselves," he said. 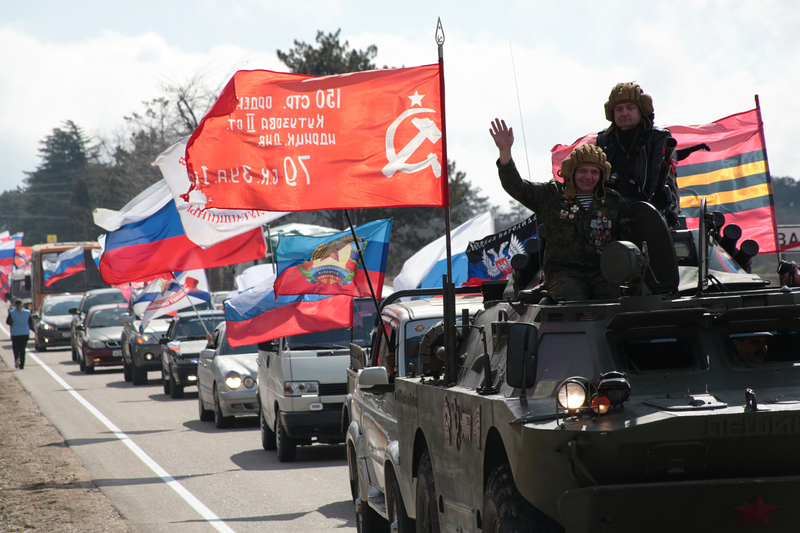 "The Russian army is fully capable of aggression; it is not an army for defence." "Such large-scale exercises ... raise anxiety around the world," he said. "Nobody knows who the target might be." "Such large-scale military exercises frighten me," Mirlan Ismailov, a 39-year-old entrepreneur from Bishkek, told Caravanserai. "It seems that Russia is preparing for a global war." "The financial crisis in Russia has led to a drop in the population's standard of living," he said. "The drop in the ruble is reflected in the economy of Kyrgyzstan as well, and our exporters have become non-competitive -- that is not at all what Moscow promised us for joining the Eurasian Economic Union." "But [Russian President] Vladimir Putin, instead of solving economic problems, is once again rattling his weapons," he said. A recent domestic priority for Putin is defusing public anger over his unpopular pension reforms, which included raising the minimum retirement age for men and women. When asked how Central Asia reacts to such military drills, Almaty-based political scientist Talgat Ismagambetov said, "With caution." These types of exercises make the countries in Central Asia want to "increase their military might, as they consider the strategies that Moscow used toward former Soviet countries -- Ukraine and Georgia," he said. "You need forces, even if they’re small." Such exercises are a symptom of Russian domestic problems and falling ratings for Putin, he said. "This is an attempt to divert attention from problems that have come to a head," he said. "Putin is again attempting to play the patriotism card and show his people that 'nobody can push us around'. And how is he to do that if the standard of living is dropping? Just demonstrate military power." "In addition, Central Asian countries are gradually distancing themselves from Russia and concentrating on regional co-operation based on the concept of the Silk Road -- building [transport] routes from the north to the south," Ismagambetov said. Russia's illegal territorial seizures in Georgia and Ukraine -- Georgia recently marked the 10th year of Russian occupation of its territory -- and its malign influence across the world, including in the Syrian war, are clear in terms of Moscow's intentions, observers say. Putin "appears to have calculated that his regime can best do so by inflating his approval ratings with aggressive behaviour abroad", according to a US Senate report released January 10. The Kremlin has employed a "sophisticated combination of propaganda and suppression to keep the Russian public supportive of wars abroad and distracted from the regime's criminality and corruption at home", the report said. Russia develops "strike forces" to carry out either violence or pro-Russian propaganda in other countries, the report said. It relies on citizens of those countries who have suffered political defeat or have otherwise been marginalised, making them amenable to carrying out various "dirty tasks" in exchange for Russian funding. As as result, concerns about Russian interference have been steadily growing in Central Asia, especially in Kazakhstan. The Kremlin in the past has cited the protection of ethnic Russian minorities abroad as a pretext for invasion, as it did in Ukraine. Astana, in a preemptive move, has taken steps to dilute the concentration of ethnic Russians in the north of Kazakhstan, primarily through the voluntary resettlement of ethnic Kazakhs from the south to the north of the country. That move comes as genuine co-operation between Kazakhstan and the United States is increasingly drawing the ire of Russia, according to Russian news reports. Tajikistan also has proven vulnerable to Russia's military projection. Russia and Tajikistan in mid-July kicked off joint military exercises, ostensibly to prepare for militant attacks emanating from Afghanistan. However the real reason, observers say, is Russia's reluctance to allow others, such as China, into its "back yard". This is yet another reeking dump left by one more BASMACH not finished off by my grandfathers! [Basmachi Movement was an uprising in Central Asia against Russia before and after the revolution of 1917 in the late 19th and early 20th centuries]. IT IS MY DUTY TO FINISH OFF THIS SCUM THEN AND I CAN DIE PEACEFULLY AFTER THAT THINKING I HAVE NOT LIVED MY LIFE IN VAIN! Die and never raise from the dead! It is hard or, better to say, impossible to expect anything [good] while the countries of Central Asia are corrupt to the core and Russia exploits that by firmly supporting these regimes. If corruption were stopped or reduced, at least, a Central Asian union would make sense. But even if we considered this hypothetically, Russia wouldn't let [us] do that since any progressive state inevitably means parting with Russia. It is well known Russia hinders progress. They can freak out frothing at their mouth, but Kazakhstan as part of the Customs Union is a good example. Now this resulted in Kazakhstan being in the midst of deep economic crisis. Only Russia needs this Union because they keep [other countries] under full financial and economic control preventing Kazakhstan's development. [Moscow] blocks off and makes up false barriers to exporting from Kazakhstan to Russia (although it's purportedly a unified market), let alone Europe and there's an infinite number of similar situations. Smart people avoid alliances with Russia. What is Wabadiskaya [the word is probably misspelled, its meaning is unknown] croaking about? Has Vladimir Khan not stolen all the illegal gold from the "golden plane" and the budget already? Looks like he has become very "nervous". There is a reason for that, apparently!! Why whip up tension with the articles like this one? War games are held all over the world. Seems, your articles are paid up [to be biased]. Everything is the pure truth. So-called "Russia" aspires to intimidate the whole world. [We should] take the heroic people of Ukraine and their president, Petro Poroshenko, as an example. Don't be afraid of them! And we, KAZAKHS, have built all the cities, highways, railways, and infrastructure OURSELVES. I am Kazakh. Russia is our protection. If not for Russia, America would have f..ked us like Iraq. Russians are our brothers.